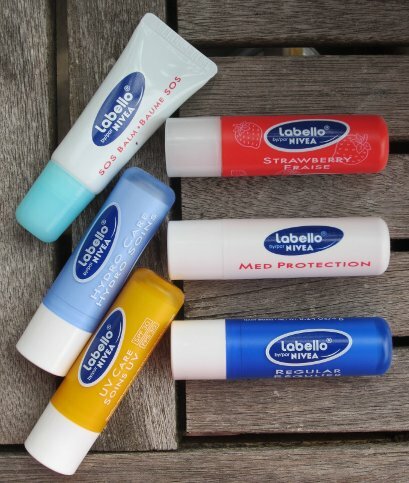 Labello by/par Nivea – eine Marke mit einem etwas sperrigen Namen – gab es unter anderem in Kanada. Das erklärt auch die englisch-französischen Titel z.B. „SOS Balm · Baume SOS“. Aus der kanadischen Kollektion fehlt mir noch der „Cherry Cerise“, neu ist der SOS. Labello by/par Nivea – a brand with a very strange name – was for sale in Canada and in a few more countries. The Canadian versions have english-french names like „SOS Balm · Baume SOS“. I’m still searching for the Canadian „Cherry Cerise“. New to my collection is the SOS.